With the fasting just around the corner, im sure that most of us are looking for places to 'berbuka puasa' or to break the fast in a memorable ambiance with friends and family. The fasting season is a time for all of us to appreciate and be thankful with the achievements that have been given by Allah, and I really can't wait to start fasting as I need to lose a few kilograms from my body. haha. I never thought that breaking fast on a cruise was possible, but I finally found that it is possible! Its pretty obvious from the title of my post, so enough chitchat, let's get into details. If you're looking for something different than the typical buffets you always go to, why not consider an exclusive Cruise around the Tasik Putrajaya Lake as you enjoy your food with the scenery of Putrajaya. Be it with your family, friends or your loved ones, the cruise would be something very different that is unique, exclusive and grand! For a memorable Buka Puasa, its time to gather your friends and family for an exclusive cruise while you feast on a cruise. There's even a rooftop space too! This year happens to be the cheapest offer by Cruise Tasik Putrajaya throughout the years, giving everyone a chance to experience dining on a cruise by Cruise Tasik Putrajaya. Currently, there is a special early bird price charging RM120 per adult, and RM75 per child, OR if you rather go for the normal price, you can get yourself a seat in the cruise for RM145 per adult and RM77 per child. 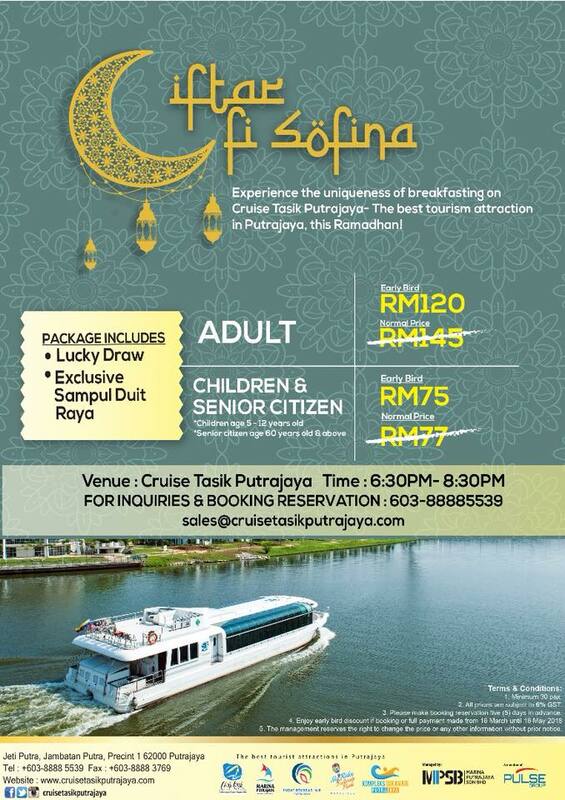 Every purchase of a ticket to enjoy the Iftar Fi Sofina, you will also be entitled to an exclusive money packet and an entree to a lucky draw where you can win a Love Boat Package worth RM350 to 5 lucky participants. Iftar Fi Sofina offers over 30 dishes that would keep your tummy full throughout the 90-minute cruise ride. Just to name a few of the dishes, they will be serving Grilled Lamb, Fried Chicken Berempah, Daging Gulai Kawah, Mee Goreng Ayam, and many more. There will also be a variety of traditional Malay desserts for those with sweet tooths too! Here are some sneak peeks of what they have to offer. These are only some of the options that would be available for the upcoming fasting month, so look forward to a wonderful night of delicious food and the luxurious view of Putrajaya. Now that you've seen a preview of what Iftar Fi Sofina, its time to plan your fasting month ahead and make reservations as there will only be limited tickets available for each night. For more information or to make reservations, you can call their sales department by calling 03-8888 3359 or email sales@cruisetasikputrajaya.com. RM1 will be donated to selected welfares for every ticket purchased. 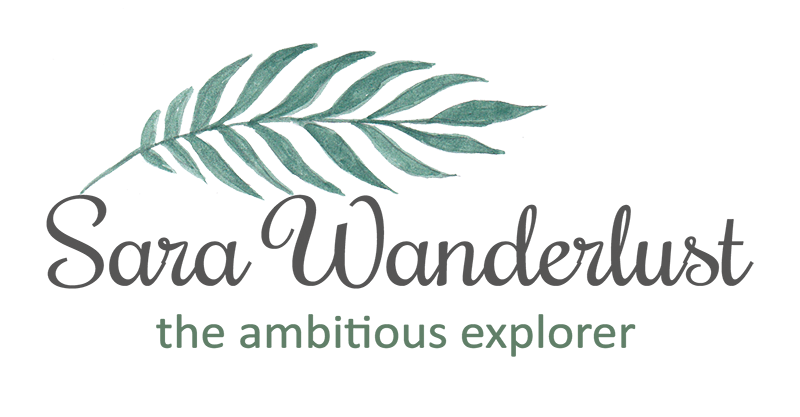 For bigger groups, Marina Putrajaya Sdn Bhd is offering a seminar/meeting package on the Cruise Tasik Putrajaya or the Bora Ombak Marina Putrajaya with an exclusive offer that goes as low as RM100 per person. Take your team out for a memorable night to remember this coming festive season and start building good relationships with your staffs and employees.